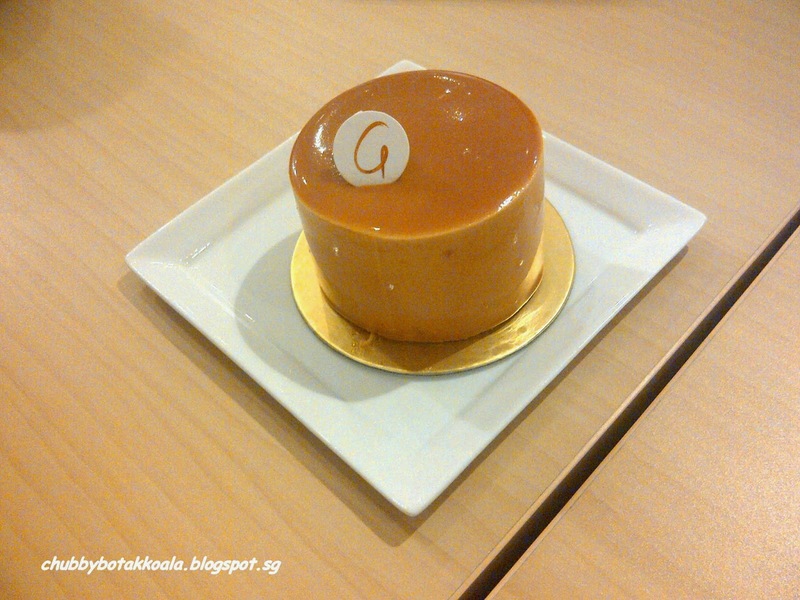 Patisserie G is established by The Cordon Bleu – trained pastry Chef Miss Gwen Lim. She is a purist when it comes to pastries and only use the traditional ingredients from French and good quality French Product. Other the normal bread such as croissants, baguettes and brioches, you can actually find such sweet treats such as the following:The G Spot - Dark Chocolate mousse with chocolate meringue, sits on chocolate hazelnut praline crunch; Triomphe - Salted, slightly burnt caramel mousse with layers of hazelnut sponge; and Saint Hanore - choux puffs lightly glazed caramel, pipped with chantilly cream, seating on sable base. 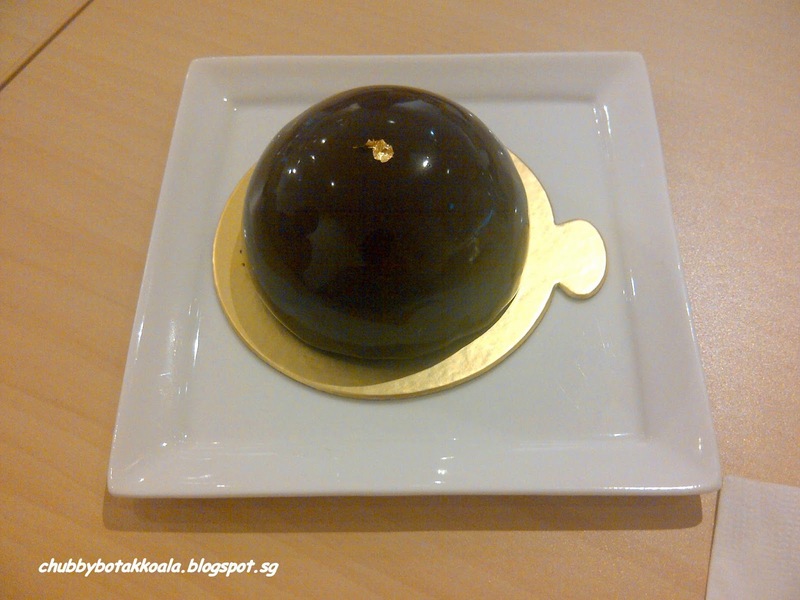 To satisfy our sweet teeth after our dinner in Tomi Sushi (See Tomi Sushi review), we decided to stop by at Patisserie G for a cuppa and cakes. The coffee bean from this place is supply by the artisan roaster Liberty Coffee. 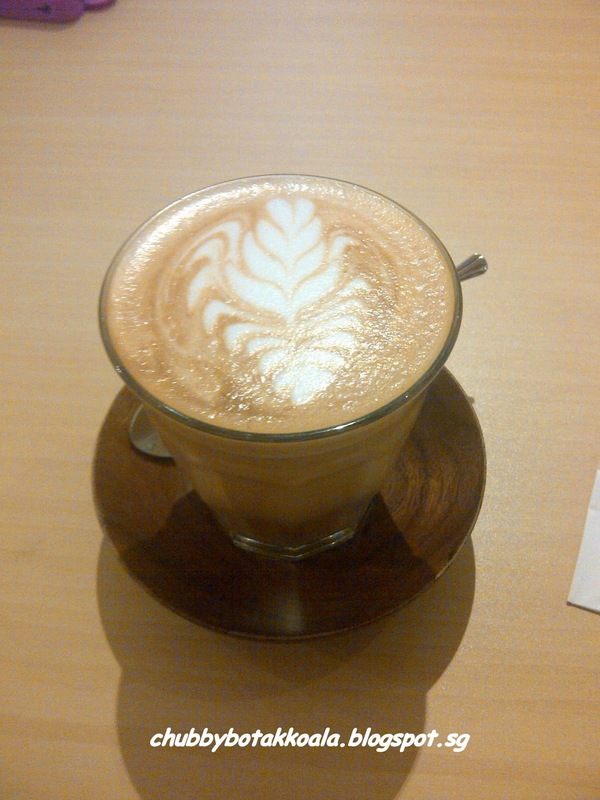 The coffee is smooth, rich and creamy. A perfect partner to the sweet treats that we are going to enjoy. The G Spot has a nice balance of the dark chocolate, texture of the mousse and hazelnut crunch and well balance sweetness. 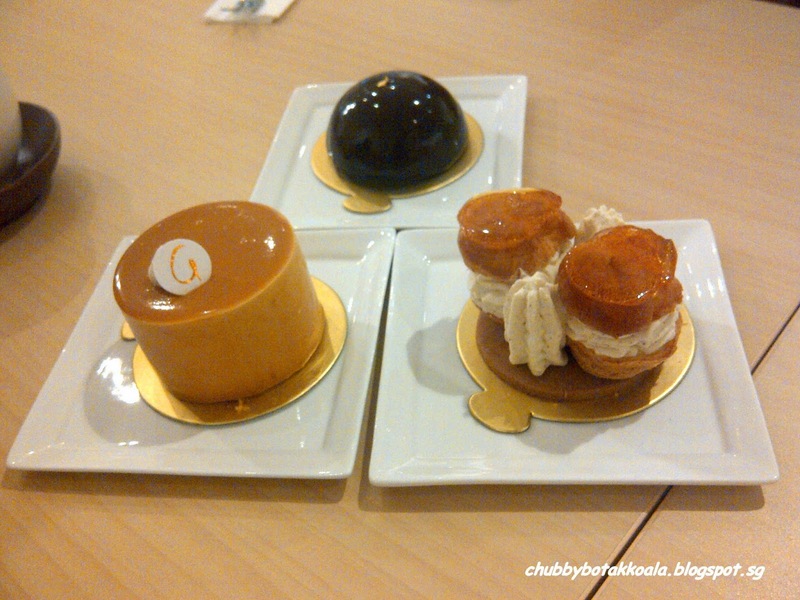 Triomphe shown that salted and sweet can actually goes together, especially when it comes to caramel. The sponge is soft and moist. The Saint Hanore, is a bit though to crack on the top, as the caramel has hardened. 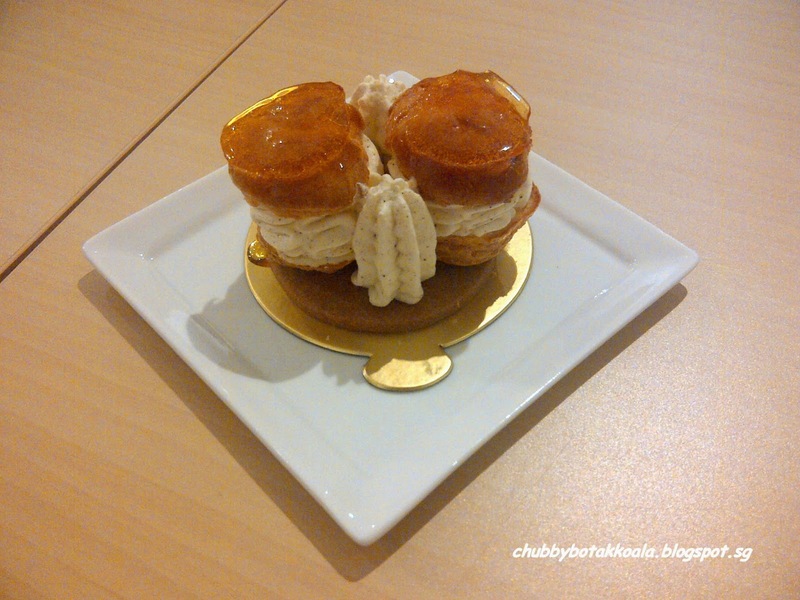 Other than that, the puff, chantilly cream is just Yummyyy!!! 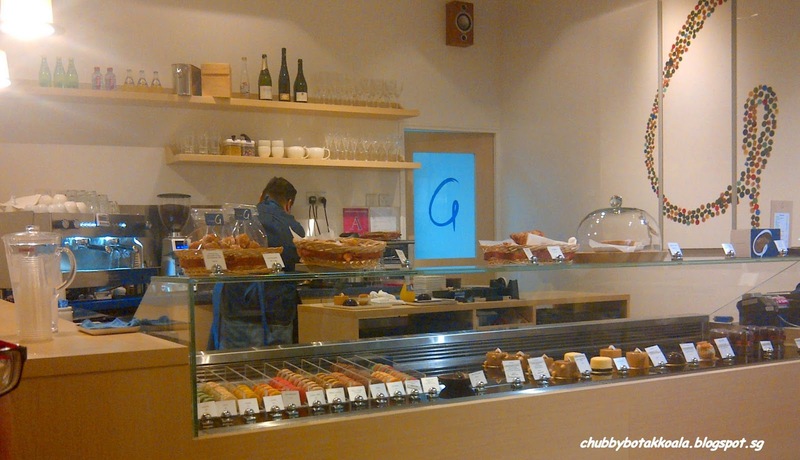 When it comes to the sweet treats here, we are totally impressed with what is to offer here. The taste, texture and sweetness are close to perfection. A perfect complement for your tea or coffee. During our visit, it was only one server in the shop. His is very attentive, however due to the number of customers, it took him a while before we received our order as he need to do everything by himself. 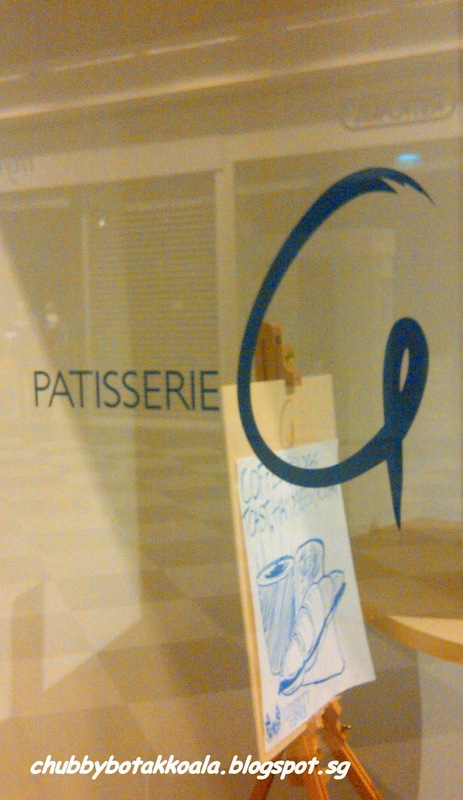 Overall, if you are around Millenia Walk or Suntec City area, this is a place to try for the excellent cuppa and French Pastry. Bon appétit! !